1. What is your newest book about? Irish Holiday Fairy Tales, Volume 1, is the highly anticipated first children’s book by international award winning, feline, author, Finn McCool, the Magic Leprechaun Cat. The first of a series, Irish Holiday Fairy Tales, based on Irish legend, folklore or history with a wee bit o’ leprechaun magic, is entertaining, educational and beautifully illustrated by artist, Cheyenne Booker. Irish Holiday Fairy Tales is a delightful read for any child or adult who believes in fairies, magic, loves cats, or just loves a wonderful story. In Irish Holiday Fairy Tales, Finn McCool, the Magic Leprechaun Cat, brings the magic of Ireland alive. Each fairytale has as its main character one of Finn’s Magic Leprechaun Cat relatives from his homeland on the mystical Hill of Tara, located in the enchanted Emerald Isle, Ireland. Finn’s stories celebrate the culture, heritage and history of the Irish people and their Celtic ancestors. Finn is a real cat born of a feral mother, Lady Angel. He has been entrusted with an important job. As official spokescat for Florida Cause for Paws, a self-funded cat rescue based in Tampa, FL, Finn helps educate the public on the plight of homeless, helpless cats and kittens. His book, Irish Holiday Fairy Tales, and the publishing of his short stories, help fund the care and feeding of the many cats and kitten rescued by Florida Cause for Paws. Since 2008, Finn McCool, the Magic Leprechaun Cat’s, short stories have been published and read in more than 60 countries spread over six continents. Finn’s stories have crossed ethnic, cultural and language barriers around the world. He has won short story awards from the international journal, “Creature Features”, among others. Irish Holiday Fairy Tales was chosen by Cat Fancy Magazine as its only book choice for it 2012 Holiday Gift Guide. 2. Why should we read it? Irish Holiday Fairy Tales by Finn McCool, the Magic Leprechaun Cat is the purrfect gift for any occasion. It is the gift that keeps on giving in more ways than one. Its stories are ageless, while at the same time, timely. They are a delight beyond expectation. They transport the reader, young or old, to a magical place, Ireland, where people still believe in the “good people” and their magic. They celebrate an ancient race, the Celts, and its heritage. Each fairytale is woven around a legend, bit of folklore, or actually history, enlightening the reader to a culture many would never otherwise experience. The stories carry with them a message, “To those that do good…good will come”, thus, bringing to the reader a sense of hope. Though they are meant to help support Florida Cause for Paws’ cats and kittens, Finn’s stories have evolved on another level, thanks to the many teachers who have learned the teaching benefits the stories bring to their students. If Irish Holiday Fairy Tales achieves its goal of helping helpless animals, it also accomplishes the goal of enriching the lives of its readers no matter their age, ethnicity, language, culture; all can learn something from the experience. 3. Why do I need to know about cats that would make a canine-lover like me go feline? In my interview with The Tampa Tribune, I am quoted as saying, “A dog gives you what you want. A cat gives you what you need.” Both give you unconditional love, but as the saying goes, “Dogs have masters. Cats have staff.” Cats are the number one pet in America for a reason. They are easy. They simplify life, while giving their family the same level of comfort and love a dog provides. Just their demeanor creates a relaxed atmosphere. Yet, they are playful, inquisitive, intuitive and even protective, as I have experienced on two occasions with two separate cats, one a feral I feed in a parking lot, and the other, a cat we raised from a kitten. Cats are extremely intelligent, they can learn anything you can teach a dog; sit, stay, fetch, walk on a leash, they’ll do it. You just have to use a little thought in your training process. You are more successful with a cat if you make him think what you want him to do was his idea in the first place. They can be very entertaining. My husband, Gray, used to say, “A man has kittens, he doesn’t need television.” Cats add grace, elegance and an air of mystery to our lives, they come by it naturally. 4. 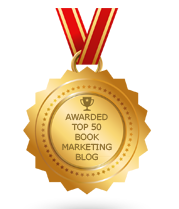 What are the rewards and challenges to writing your books? I pride myself on the authenticity of my work, no matter the genre. So, delivering on that premise can prove challenging. If I have not experienced personally some element of a story I am writing about, then I thoroughly research what is unfamiliar to me. That my sources are impeccable is especially important. When available, I will crosscheck a fact many times to ensure that what I have learned is in fact true and reliable. Time consuming, yes; important, absolutely; worth it, goes without saying as my reputation depends on it. Ah, the rewards are many. Though monetary reward is the objective, the greatest reward is satisfaction with a job well done. Knowing that you have brought enjoyment to someone’s life with your work is to me very gratifying. I had a play I wrote produced by an old, respected playhouse here in Tampa. It was titled Cat Scanned and was a comedy. On opening night I stood in the back of the theater and listened as the audience roared with laughter and applauded with delight at its conclusion. A live audience reviewing your work is the single best way to measure the success of your endeavor. Frightening, you bet, but oh so amazing to experience firsthand. Still more amazing is the joy in a child’s eyes when first it holds a copy of Irish Holiday Fairy Tales in its hands. During the Christmas holiday, I gave a copy of the book to a young girl who mentioned that day was her birthday. The premise of Irish Holiday Fairy Tales is “To those that do good; good will come.” As I handed her the autographed copy of the book, her father said, “You probably don’t remember me…” And, then it came to me. Months back, this same man saw me feeding the parking lot kitties where I work. He approached me and asked what I fed them. He went into the store to shop. Before he left, he again approached me and presented me with two bags of the food I fed. He didn’t know me. I didn’t know him. A simple act of generosity was rewarded with his child’s birthday gift. The next week her mother came to the store and thanked me for giving the girl the book. She told me the child read a story each night before going to bed and read them to her brothers and sisters, as well. A few days later my manager said I had received a card. It was a handmade thank you card from the child, the feeling…priceless. 5. What will book publishing look like in 2023? I think it will look considerably different than it does now. The electronic age is here to stay, I am sorry to say. Bookstores may go the way of the dinosaur. Barnes and Noble stores are headed in that direction, though their demise has more to do with abysmal business practices then the electronic age takeover. On-line booksellers will flourish, along with the odd, determined independent bookshop. I think self-publishing will continue to grow as writers grow tired of being rejected by publishers that like a sure thing and ignore the diamond in the rough. People care little who the publisher is. It is the story that they seek and a traditional publisher is no guarantee the story will be any better than one produced well by a self-publisher. I would hate to see books and bookstores disappear in favor of the Nook and Kindle versions and on-line retailers being the only source of reading material. I love to hold a beautiful book in my hand. When I am choosing a book, I want to be able to check it over in my hand not on some impersonal screen. As for Irish Holiday Fairy Tales, I see a bright future for follow-up volumes. Irish legend, folklore and history, against which the stories are set, provide unlimited material for stories tailored to children and adults alike. It is my intention that the central theme in all my children’s books continue to contain the inherent message, “He who does good, will meet good.” Hope is something we all need, now more than ever. Are Good Publicists Ever Ethical? Can Tarzan Save The Post Office? Do You Practice Red Thread Thinking? How Do You Celebrate International Flirting Week? Is it ok to text during a meal with others? What Triggers A Book Sale? Is It A Library Without Books? Author vs. Content: Which Sells Books? Are You Destined To Write Great Books?